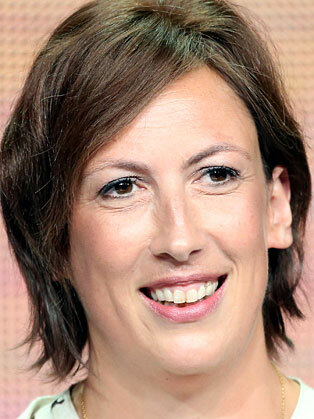 Miranda Hart is a comedy writer and actress whose BBC 1 sitcom Miranda has earned her four BAFTA nominations, three RTS awards and three Comedy Awards. She also earned a BAFTA nomination for her much loved role, Chummy, in the hit drama Call the Midwife; has finished her first movie role alongside Melissa Mcarthy and Jude Law in Spy which comes out May 2015 and recently completed a sell out stand-up arena tour culminating at the London’s 02. The DVD (My What I Call, Live Show) was the second highest selling stand-up DVD of 2014. Before her own series was commissioned Miranda played Barbara in BBC 1’s Not Going Out with Lee Mack, and earned a British Comedy Award nomination for her role in sci-fi sitcom Hyperdrive alongside Nick Frost. She has also popped up in Nighty Night, Smack the Pony, Ab Fab, Vicar of Dibley, Jack Dee’s Lead Balloon and played a cameo in David Baddiel’s feature film The Infidel. She earned her reputation as one of Britain’s top comediennes from her stand-up and sketch shows at the Edinburgh Festival and on the London circuit. She first went up to Edinburgh in 1994 and it wasn’t until 2005 when she did her last show at the Festival she was able to give up temping. Her role as a stand-up has earned a place as a regular on the panel show circuit, including regular appearances on Would I Lie To You and Have I Got News For You. Miranda is also patron of Spear, an employment initiative to get disadvantaged kids in to work. Miranda is passionate about young people feeling encouraged and supported to achieve their ambitions.